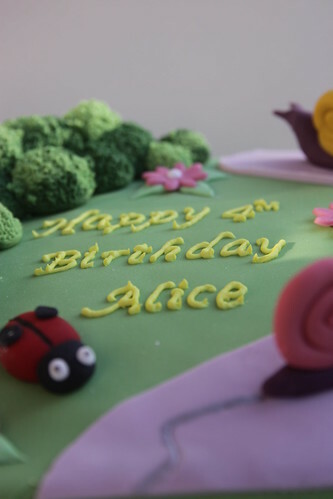 Her brilliant cake was designed and made by Clare at Crouch End Cakes. Our little miss is bonkers about butterflies, snails and ladybirds and this is just what she wanted. The look on her face when she saw it was priceless. AND it was as beautiful to eat, so delicious, which made my day so much easier to cater for 30 people. Fabulous.